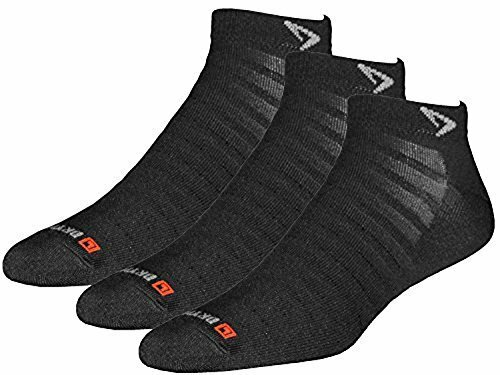 Running socks, as the name itself indicates, are specialized kind of socks that are tailored fit particularly for running and similar activities that would require one to be moving around on his feet for a long period. The running socks are made for comfort and prevention of blisters on the feet. They are designed with several qualities that give the feet protection as well as support for standing long, running around or jumping. 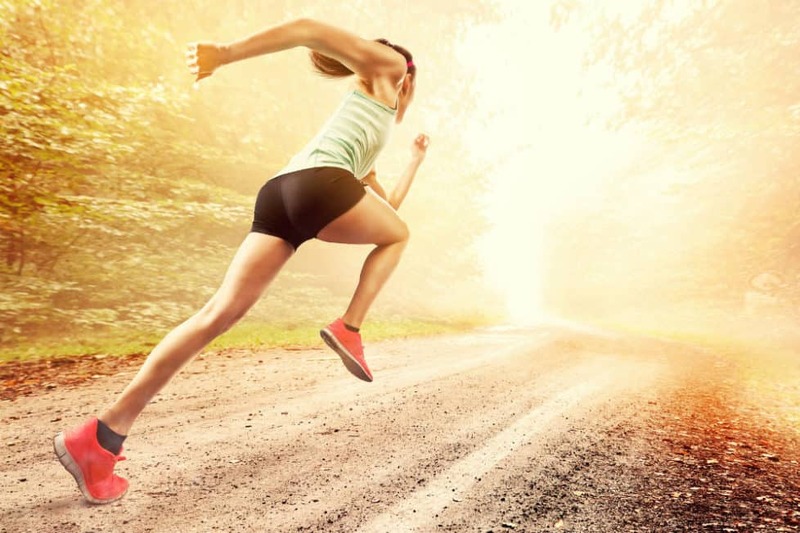 The feet is being subjected to unrelenting and forceful pounding and impact when running a distance and the feet may suffer problems and injuries if not appropriately clothed by running socks. 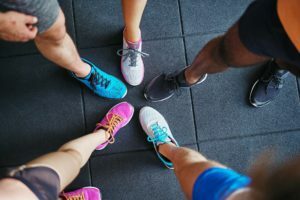 It is unfortunate and detrimental when some runners simply wear socks without putting much thought to what type of sock should be worn – some would find it sufficient enough to just wear any sock together with the running shoes. However, a good runner would tell one that wearing a good pair of running socks is as important as having the right type of running shoes. 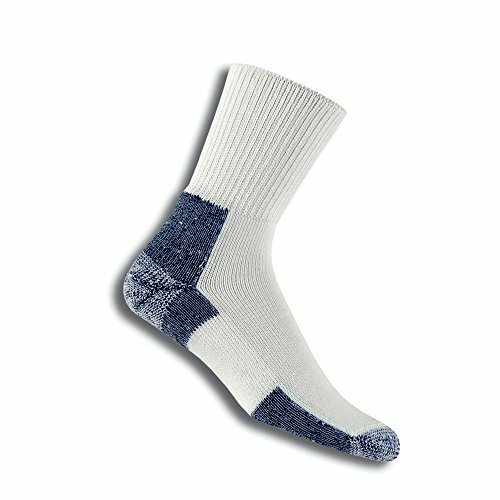 It is common for one to choose cotton socks over the other types of socks as it is the usual choice and it comes cheaper than the other socks. And to be honest, there is nothing wrong with the cotton socks. 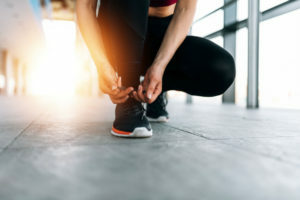 In fact, they can be comfortable with its soft fabric and gentle material, but such features are not the only things important when it comes to running or performing physical activities that would require one to be on his feet. For that, running socks is the better choice. Running is a sure guarantee of having sweaty feet. The soft fabric of cotton socks can be comfortable, but the same is not much of a help in the aspect of moisture or sweat control. On the contrary, the cotton socks tend to absorb moisture or sweat that it comes in contact with and work to keep it against the feet. Hence, wearing cotton socks during runs would most likely result in having soggy feet. If moisture is combined with heat and friction, the mix will complete the recipe for making blisters and calluses. Such feet conditions can be easily avoided by using a pair of running socks. Almost all of the running socks have wicking moisture technology which keeps sweat and moisture away from the socks and the feet. Another consequence of running is warm feet – too much of it may easily lead to blisters. Most of the cotton socks do not allow air to flow between its fabric materials. Fortunately, with the running socks, there is breathability. The running socks allow airflow to and from the material so that dry and cool feet can be maintained despite being encased within the close material for along period of walk or run. Furthermore, sweaty feet can lead to smelly feet. 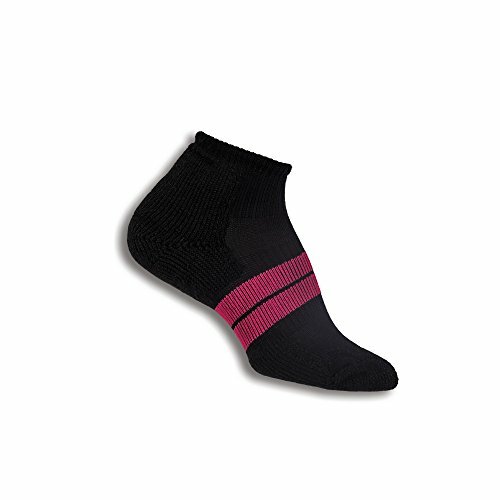 Most running socks likewise offer ananti-bacterial feature which the common cotton socks do not have. The anti-bacterial feature prevents the proliferation of bacteria and fungi that cause the bad smell in the socks and the feet. Hence, the feet can be dry, clean and odorless by using running socks. A running sock is made to protect, to comfort and to support. As between the cotton socks and running socks, using the latter could spell a difference in the condition of the feet. The running socks also offer some health benefits for the feet. First is that the running socks can provide the additional protection and support for the leg muscle to withstand the impact of pounding against the ground. As a result, common foot problems and injuries such as blisters and Achilles issues can be done away with. In addition, despite walking and running all day long, foot fatigue can be reduced with the help of the running socks. 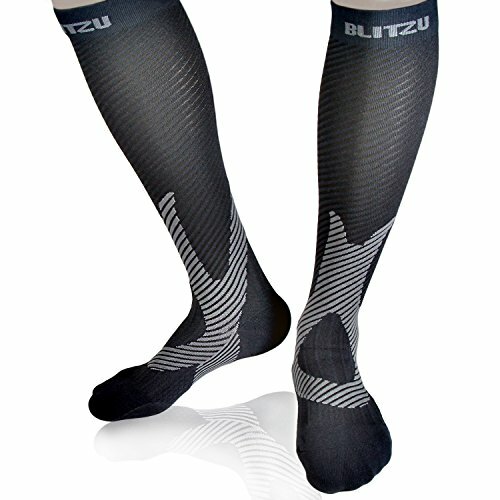 Second is that the running socks are also helpful in taking care of muscle injury on the legs. A running sock has the ability to provide the much needed targeted and graduated compression for the improvement of leg blood circulation. With the faster circulation of blood in the leg area, recovery from any leg injury will also be faster. Hence, the running socks are just as important as running shoes, especially for athletes and serious runners. From hereafter, it is important to know that there isn’t a running sock that fits all. Otherwise stated, this means that what others think as the best running socks may not be the same for all. The level of cushioning would mainly depend on the personal preference of the user. However, as a general rule, too thick running socks tend to be difficult to wear on, while too thin running socks can be a bit uncomfortable and provide less protection to the feet. So with that out, what is more important is to look for pressure points or impact zones and make sure that those are padded well enough. Pressure points are the most battered areas of the feet because these are the points where the weight of the body is concentrated and these are the parts of the feet that come in contact with the ground. The back of the running socks, where the blisters are most often formed, should be cushioned properly. 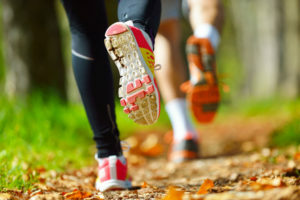 The running socks – or a good pair of it – have spandex on certain areas to prevent it from slipping or being misplaced. 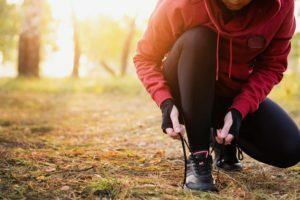 If the running socks will not slide down, the back of the feet will not be exposed to the shoes or any surface that could cause friction and blisters. Cotton socks are infamous for causing blisters because they harbor moisture from sweat. Moisture may lead to slippery socks – which in turn leads to rubbing that could result in blisters. A material made of wool, synthetic, or both can be more comfortable because the feet can be drier. The goal is to achieve a snug fit – not too tight and not too loose. Big running socks would expose the feet and lead to sores due to rubbing and friction. Tight running socks would cut the circulation of blood in the legs and feet. Having a balance between the two will give comfort and protection to the feet. Warmth depends on the thickness of the padding and the length of the running socks. Cold weather would need thick and high length running socks, while a warm temperature will need thin and low-cut running socks. Also, running socks that have airflow for the skin of the feet to breathe are important in preventing heat from accumulating within the sock when running. Sweaty feet would lead to smelly feet. In order to prevent this from happening, the shoes should be kept dry with the running socks’ wicking feature. A running sock that also offers odor control like antibacterial technology that inhibits proliferation of bacteria and fungi in the feet and socks will be a nice feature to have. One need not browse the internet to know that there are many running socks being sold in the market these days. The number can be overwhelming, especially for the first timers. 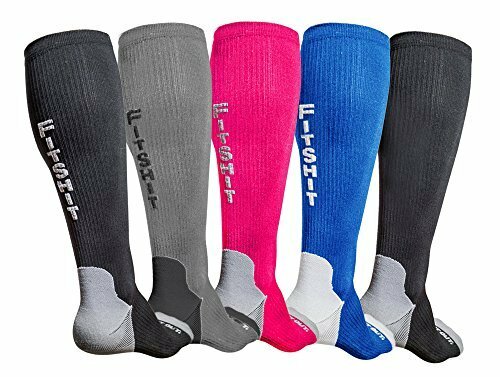 So to jumpstart and help in the search, here are short product reviews of five (5) running socks, popular and best-sellers in their own right, available in the market these days in order to give on an idea on what to look for. When going through physical activities that would put a lot of stress on the feet, one should wear the proper footwear, including the right type of socks. 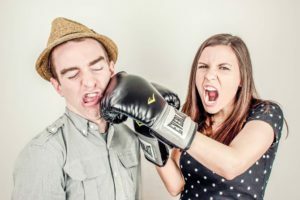 If one wishes to go on a running habit or hit the gym for a strenuous session, having a good pair of shoes is not the only thing that should be considered. Having good running socks like the Vitalsox Italy -Patented Running Socks is also equally important. This running sock is 70% silver drystat, 10% spandex, 10% lycra & 10% nylon. The running socks offer features such as Vitalsox exclusive Silver DryStat, patented graduated compression, four (4) way stretch and Wicks moisture. To add, the running socks only weigh 4.8 ounces and are 100% made in Italy. During running, exercising and any other activities that entail the use of feet, the legs as well as the feet should be given proper support and compression that can only be provided by a good pair of running socks like the Thirty48 Running Socks. This running sock is for men and women. Its key features are a cushioned low cut style, multiple cushions, Coolmax fabric, moisture wicking technology and a heel tab. The running socks are being offered in a wide variety of colors and were designed to be form fitting with its tear protected toe & heel areas. To add, this resilient and versatile running sock is a good mix of 33% CoolMax, 27% cotton, 30% nylon, 8% polyester & 2% lycra materials. 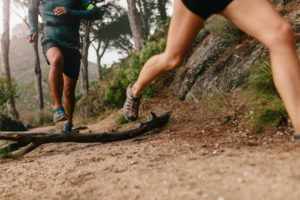 Joining an outdoor activity like a mud race, running or mountain hiking can be a comfortable experience when one has the right foot apparel like a good pair of running socks that will provide comfort and protection to the over-used and often neglected feet. 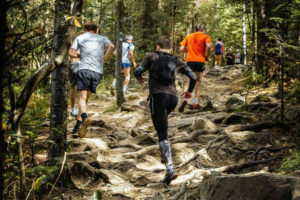 When it comes to choosing outdoor running socks, nothing can be better than having one of the best like the MudGear Trail Running Socks. The running sock is a combination of 5% Spandex and 95% polyester. The sizes being offered by the running sock are small, medium and large with the particulars: small (M: 5-7, W: 6-8), medium (M: 7-9, W: 8-10) & large (M: 10-13/ W: 11-13). 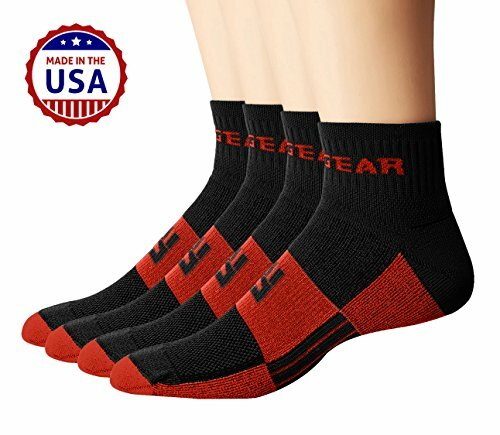 For this USA-made product, satisfaction is guaranteed when using the running socks because they offer key features such as a strong construction, medium ankle compression, and a vented mesh top. Is the current pair of socks not holding up well? Sometimes a pair of cotton socks will simply not make the cut. Go for the better version – go for running socks that give more protection and support for the weary and often neglected feet. 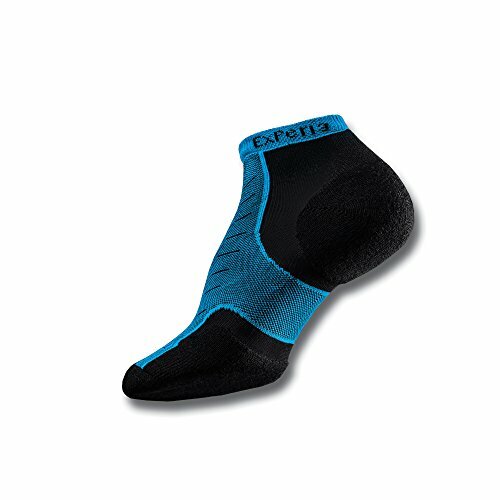 Try a good pair of running socks like the Thorlos Experia Men & Women’s Running Socks. This running sock is a combination of 62% THOR-WICK COOL polyester, 21% polyester, 16% nylon & 1% elastic materials. The running socks have an XCCU or padding style, sculpted thin cushion, ultra-lightweight sock frame and lite cushioning features to offer its wearers. To add, the socks come in a variety of colors, have a contoured aerodynamic glove-like fit with maximum breathability capacity. This made in USA running socks only weigh 1.6 ounces and have the dimensions of 1 in x 1 in x 1 in. For full customer satisfaction, the sock has a satisfaction guaranteed thirty (30) days no risk trial period. Take a breath from the usual cotton socks and go for the types that offer more comfort and support to the feet, especially during intense or long physical activities. 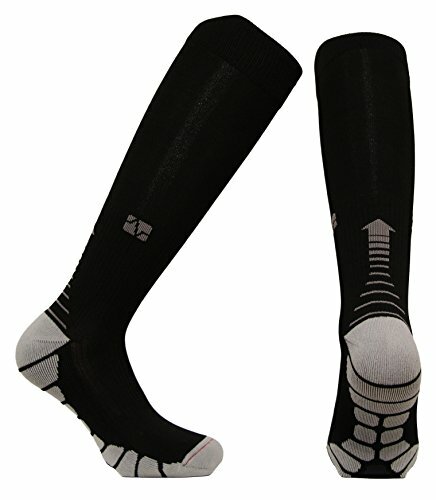 Go for good running socks like the FITSHIT Compression Socks. The running sock offers avarious key feature that makes it standout such as a premium graduated & targeted compression and quality fabric, moisture wicking technology and a SnugLeg technology. Furthermore, the quality of the running socks is guaranteed because each pair has been hand tested for comfortable use and durability. This product is available in five (5) different colors and has the following running socks sizes to choose from: Small (M: 4-7, F: 5-9), Medium (M: 8-11, F: 9-12), and Large (M: 11.5-14, F: 12+). I don’t run a lot these days after being diagnosed with some knee problems but the fatigue on my feet continue to persist as I walk a lot at work. The orthopedic shoe that I am wearing currently does take away some impact, but on bad days, the pain can be really bad. I’ve not tried running socks before – always thought that normal socks are just good enough. After reading the specs in this article, I think I may just give it a try and see if it can help with my problem. Thanks! To get maximal effort is necessary to have as good equipment as possible. Good shoes are important but too to be in good clothes which let you feel great and comfortable. Socks are of course included because of your feet. I have chosen superb socks on this site, please have a look and see if some of the socks made your interest. First of all, very nice website. Easy to navigate. From today on, I will look at socks very differently. I have learned a lot thing I completely was ignoring in regards to running and socks. I will give them a try and will definitely share this post on my social media. Happy that you like it. I’m not so much of a runner these days, but I do a fair bit of long distance walking. I guess the science is pretty much the same? I wear walking boots rather than sneakers/running shoes, so not sure if that makes a difference. The Vitalsox Italy socks look great. I’ll have to look into those further. Hi, Rob and thank you. 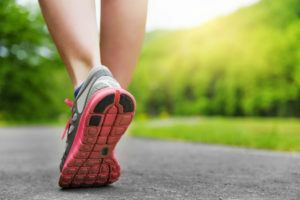 Walking is great training. But about the running shocks, it is no problem at all to use the running socks in walking as well. And with the same benefits. Being a person who likes to get in a good run, i am always on the look out for good running shoes and running socks. 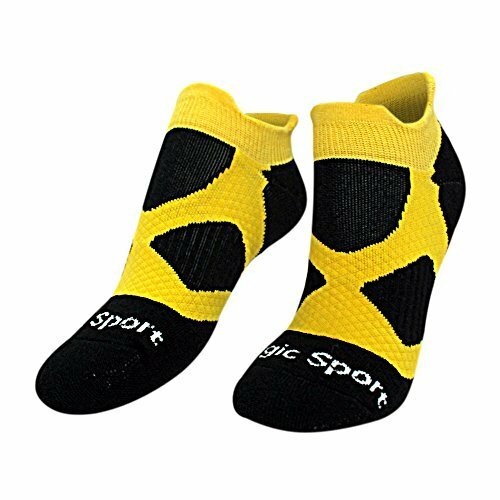 I like that you mention in your post that these socks are very good in helping to prevent blisters and that they are also made from breathable material as runners can suffer from smelly and sweaty feet. Thanks so much for sharing, will be looking into picking up a few. Hi, Jamiro Hazel and thank you. Great information. I got really into running about a year ago and I have had a difficult time with my footwear and sock selection since. I finally found a decent shoe that I like but I have had difficult with the sock part. I tried a few types but they didn’t really help that much. This is a great guide and I now have a much better idea of what to look for. The socks that you suggest awesome and I am going to look at them for sure. Thank you for this guide! Hi, Dan and thank you. It is excellent that you had so much benefit of this article. 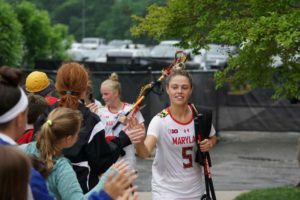 The goal of the site is to help people as much as possible, and I am very grateful for how much positive feedback I get for so many readers of us. Because it confirms that the site is reaching the goal of the site. I have had an amazing education reading your post about running socks. I used to think that cotton socks are the best in terms of comfort. From your article, I’ve learned that they have a number of downsides.The number one downside I experience is smelly feet. My socks easily gets wet in warm weather and I feel irritated when I take them off and perceive that awful odor. I think I should consider the other options such as wool and nylon. The designs you displayed here are really beautiful. I would love to have a couple of them. I would love to ask if there are special considerations for shoes that will go with these running socks. Hi, Phranell86 and thank you. Yes, even so, cotton socks can be very comfortable to be in, it is not ideal for running. The cotton socks are not a big help in the aspect of moisture or sweat control, just to mention a few things. There are not many people who know that the running shoes are made with that in mind that the runners use running socks. To get all the benefits of these great shoes, you should use the running socks. That is the critical answer with your question about if there are special considerations for shoes that will go with these running socks. Hi, Louis and thank you. It is crucial to use running socks and running shoes together if you do that you get all the benefits of the running shoes. You ask about the possibility to have the prices on the socks. I always put a lot of works to have all information as updated and useful as I can. The prices always change from time to time, so in my opinion, it is much better to see 100% of the correct price all the time using the link in the image and under it. I have been meaning to buy myself a running socks for a long time now. I do fitness running every morning so it is really necessary for me. It is amazing that you have a guide for buying running socks. That really helped me choose the one I need. I’m going to go with the Compression Socks For Men & Women. I like the fit and the style. Hi, Sujandar Mahesan and thank you. Thanks a lot for sharing this article. Running is one of my favorite hobbies and I often run through the weekend with my friend. I never wore this type of socks although I heard great stories about them. I would definitely buy 2 pairs for me, I primarily like that they retain sweat. Hi, Daniel and thank you.